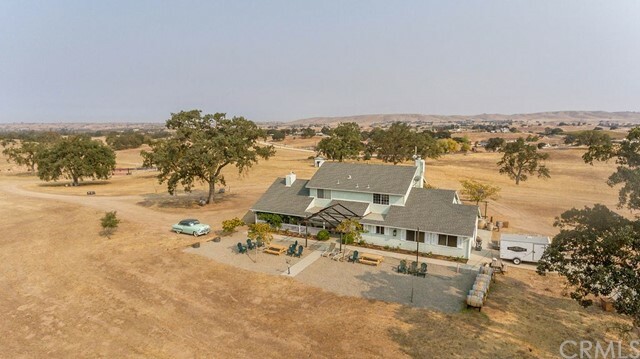 The home on this 32 acre property overlooks a beautiful valley along vineyard drive. 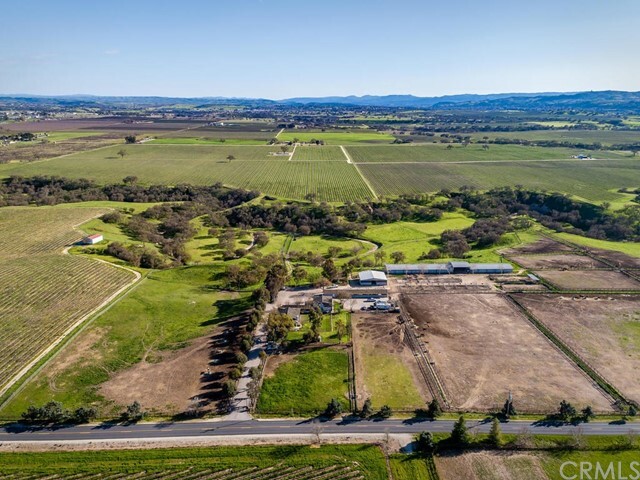 This is a prime location for a winery tasting room with frontage on vineyard drive as well as jensen rd. The property is rolling farm land with two houses. The main house overlooking valley and a guest house on the lower plane, which could work great as a tasting room while you plan for the future. 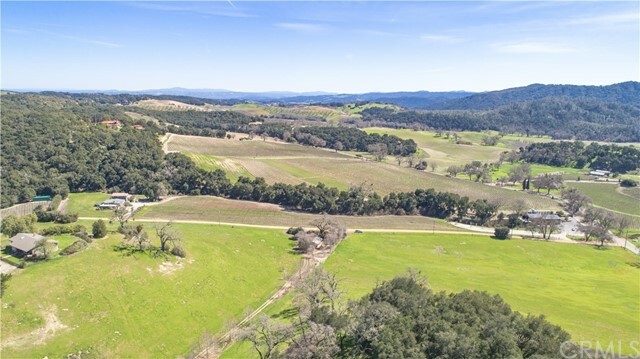 Very plantable and developable, this is a great opportunity to be in the heart of wine country. 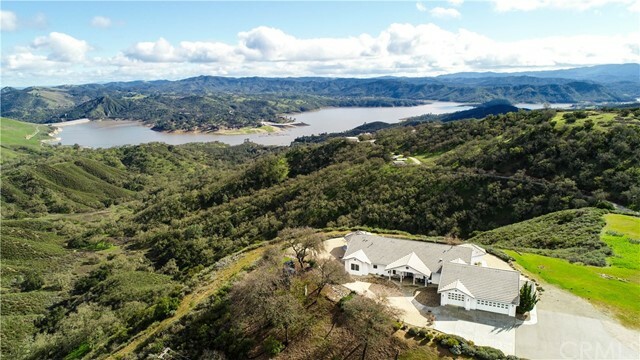 At the end of the california wine trail, and minutes from the amazing lake nacimiento sits dragon claw ranch/retreat. The ranch is comprised of 2 separate parcels combined together for a total of 71. 42± acres. The landscape is filled with giant manzanitas, oak and pine trees not to mention abundant wildlife. 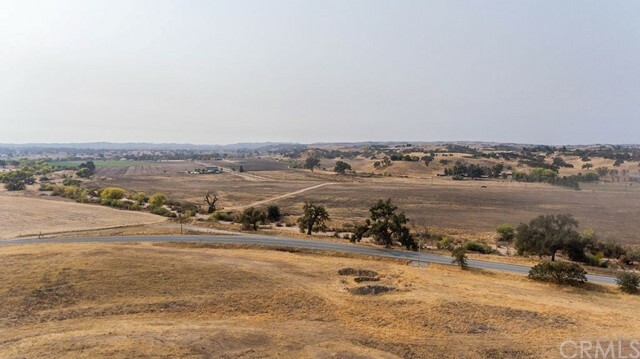 Every turn offers a new view and with over a 1,000' difference from the bottom of the property where the creek is to the top where you will be inspired by vistas in every direction. The main house has just gone through a complete ground up remodel, was professionally designed, and embodies classic farmhouse sensibilities with a very modern and clean twist. 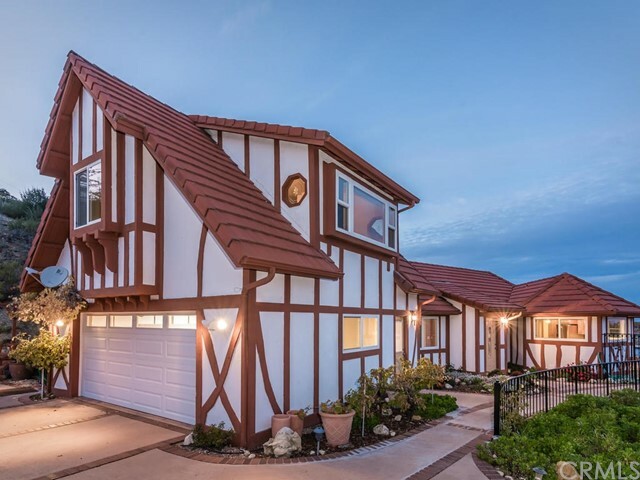 It also offers 3 bds each with its own ensuite, beautiful hand scraped wide plank wood floors, high end italian tile in the bathrooms and kitchen, top of the line new appliances and fixtures. To top it off a custom build quaint cottage. Used previously as a workshop it would make a great artists space, yoga/meditation room or carpenters space. There are endless possibilities as a personal residence, corporate retreat, or rental property. 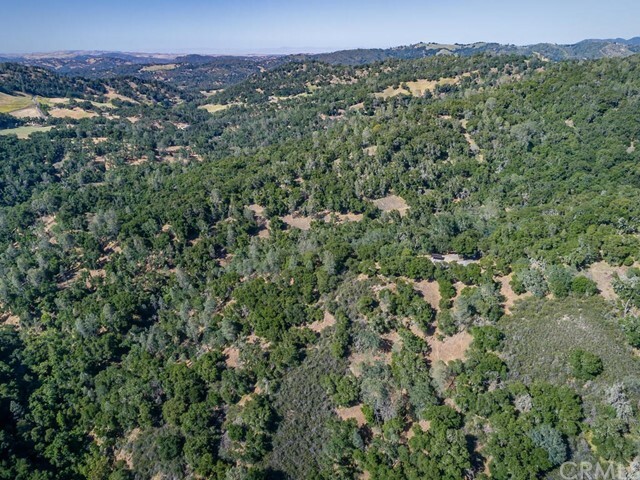 As if the 2 parcel along with nacimiento lake access aren’t enough add your own private roads, many building sites, 1 well, unbeatable privacy and you can create whatever you like, or move in and just enjoy. 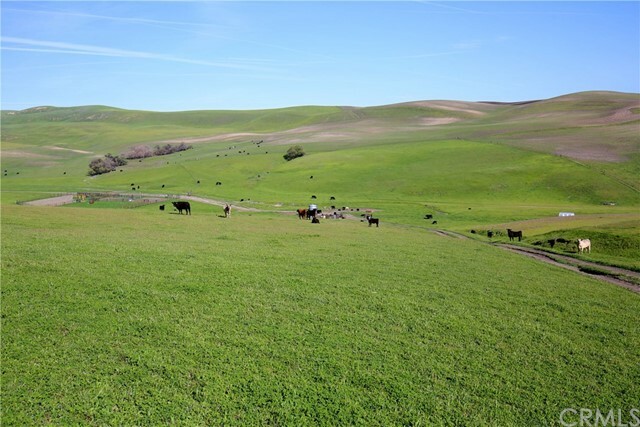 Gorgeous 71+/- acre ranch with 2 legal parcels in paso robles wine country. Perfect for those looking for the peace and quiet of country living as well as for those wanting acreage for endless outdoor activities. 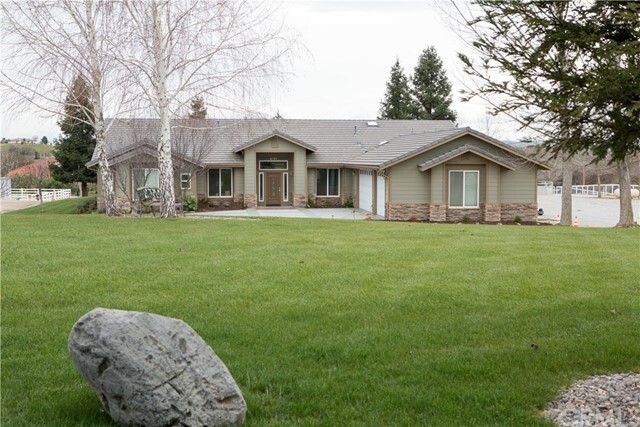 The ranch includes a beautiful 2,400 sq. Ft. Three bedroom/two bath home with an attached two-car garage, a spacious kitchen open to a family room area and a large office. Outdoor entertaining areas abound including patios, a koi pond and decks overlooking the estate. You will also find a 2,800 sq. Ft. Metal building with power, concrete floors, skylights, and a 20’ x 60’ drive-through bay and also 4 additional garage bays with 10’ x 8’ roll-up doors - perfect for car collections, rvs, farm equipment and horse trailers. The ranch has a 36’ x 36’ two-story enclosed barn with 4 stalls with turn-outs and hay storage. A separate detached 23’ x 12’ tack room is near a beautiful oak tree and a picnic table. There is a 2,200 sq. Ft. Pole barn with paddocks. A 1,800 sq. Ft. Heated and insulated detached workshop building with a bathroom and office area and large double sliding doors offers extra space for many uses. There is a 200’ x 100’ arena with chute, 50’ round pen, wash rack, paddocks, pipe fencing, cross fencing, and more! 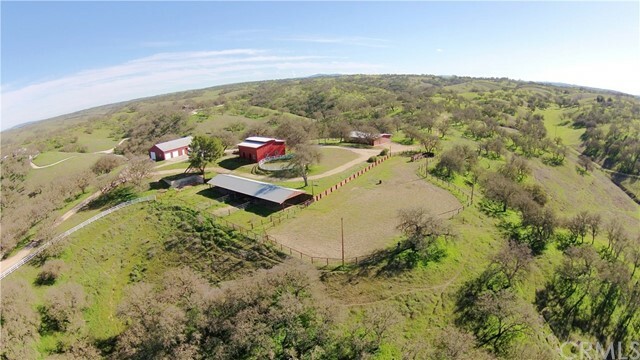 This ranch is perfect for boarding, breeding, training, trail-riding, or cattle, goats or sheep. You will enjoy both breath-taking gorgeous sunrises and sunsets from this private hill top location. Come take a look!